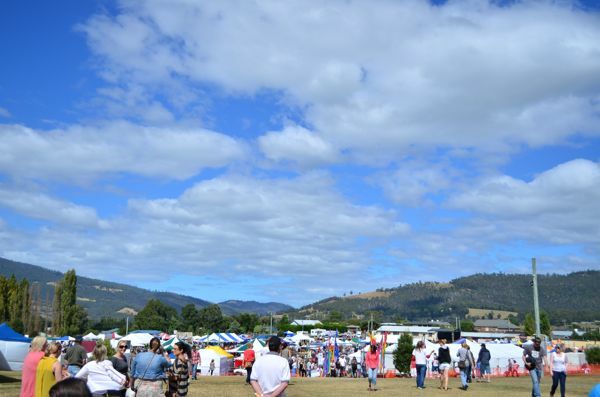 Kris: It was a perfect day for the Taste of the Huon Festival. 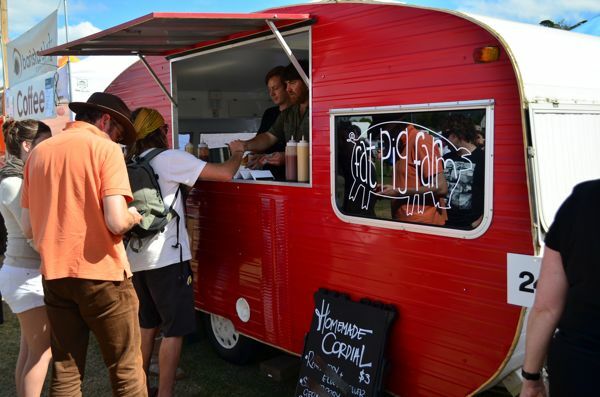 Nothing beats strolling around tasting amazing local food and booze. Sadly there were no craft beers available, so we settled for some Gillespie’s Ginger Beer and some cider from Captain Bligh’s and Tasmania Inn. Caroline: I love pulled pork, it’s a classic American beer snack. 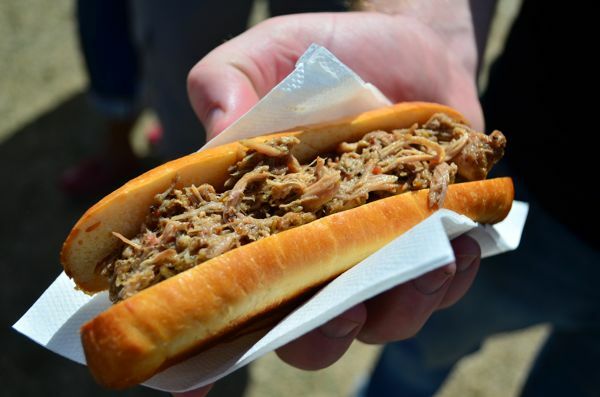 The pulled pork roll from Fat Pig Farm was sweet, spicy and smoky, just the way I like it. The roll was fresh, but it could of used some classic smoky BBQ sauce on top. It was still really tasty though. 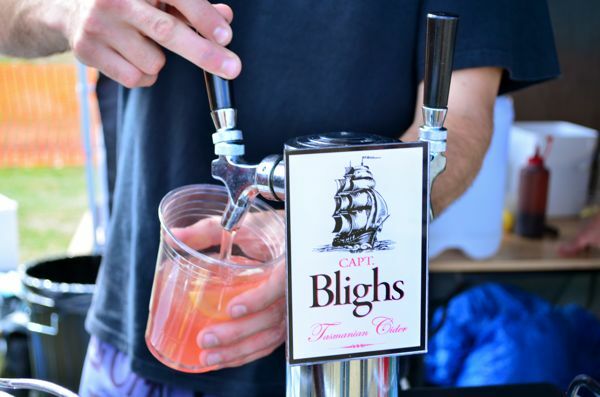 Kris: Some Dry Apple and Blackberry Cider from Captain Bligh’s was a great match for the pulled pork roll. Apples are a classic match with pork, also the dryness and the carbonation of the cider cut through the sweet and smoky pork. 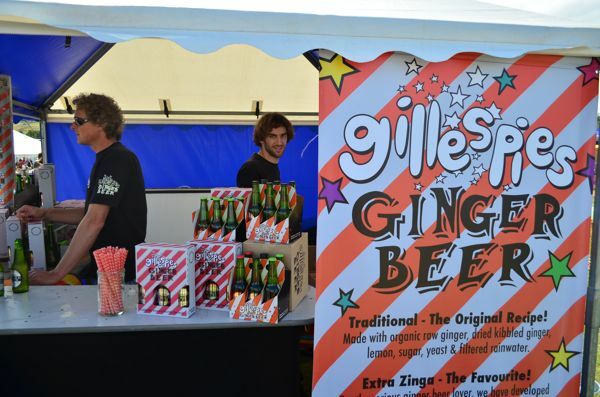 Kris: Next it was off to grab some tasty alcoholic Ginger Beer from Gillespie’s. 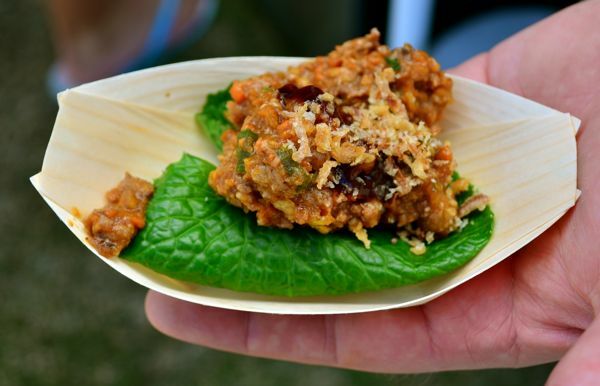 I was thinking it would be a great match for the San Choi Bao served in a wasabi leaf from Red Velvet Lounge’s stand next to Captain Bligh’s. 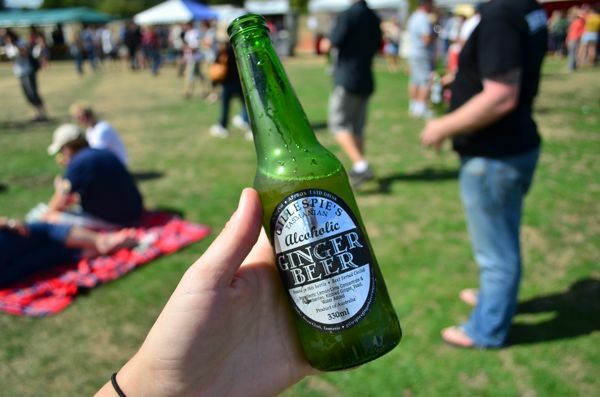 Caroline: I love Gillespie’s Ginger Beer, especially on a warm and sunny day. It is a touch sweet, but has heaps of fresh ginger flavor and spice. It was a perfect match with the San Choi Bao from Red Velvet Lounge too. Kris: Another day in Tasmanian paradise! It reminds me of why I have always wanted to live down here. Great local produce cooked perfectly, matched with some great local beverages. We also stopped in at the Home Hill cellar door on the drive home to taste some wine. The 2009 Pinot Noir and the Chardonnay were my two picks. Definitely worth stopping off if your traveling through the Huon Valley, 40 minutes south of Hobart. 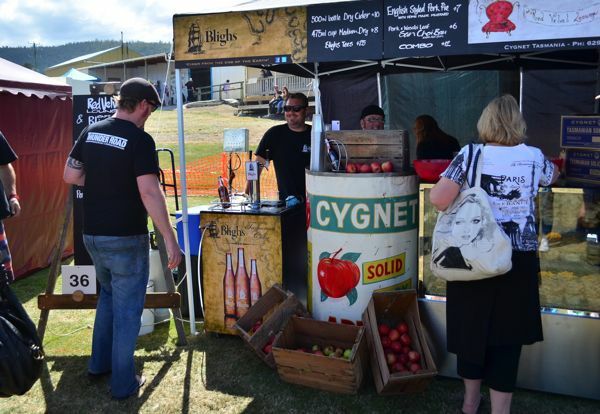 This entry was posted in Beer, Snacks and tagged Bligh's, cider, gillespie's, ginger beer. gotta go back to the pulled pork place i took you (bean) when kris is in town!! still mourning the closing of our secret pulled pork place we took kris, that closed . i cry every night.